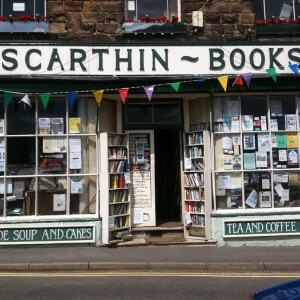 This fabulous bookshop has been going for just over 40 years, set in the picturesque village of Cromford (Cradle of the Industrial Revolution). It sells new & second hand books (as well as Antiquarian), and hosts book signings and other events (Cafe Philosophique, Cromford Village events, Apple Day, talks on various subjects). 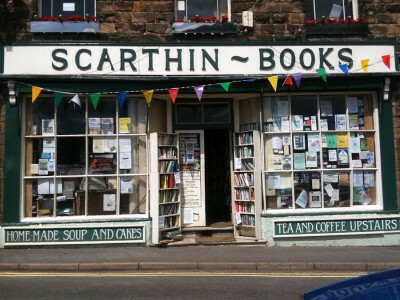 Known as A Bookshop for the Majority of Minorities, it has been voted the 6th Best Bookshop in the World by The Guardian Online. 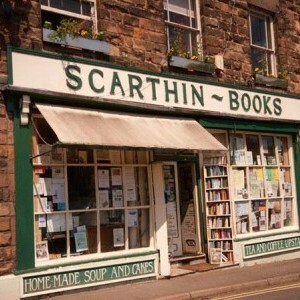 Of course, others might prefer the altogether more earthy beauty of a shop like Scarthin Books in the Peak District. 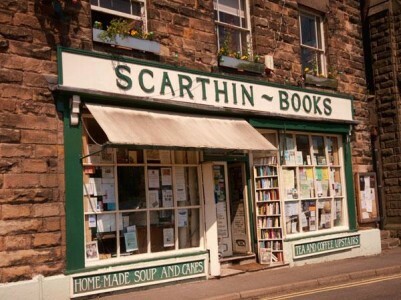 Scarthin’s has been selling new and second-hand books since the mid-1970s. 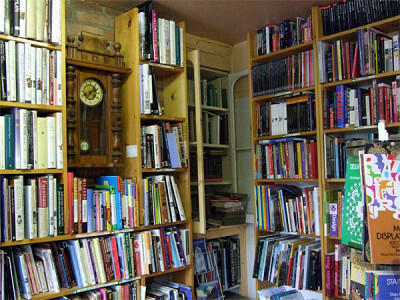 It has rooms full of new and old books, a delightful café and what can best be described as a small exhibition of curiosities on the first floor. 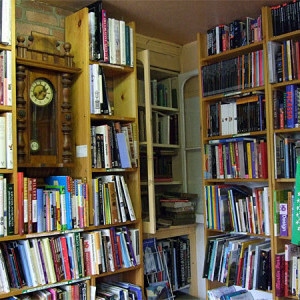 It is a bookshop so beloved, that it advertises local guest and farmhouses on its websites where devotees can stay overnight. There is a vegetarian/ vegan cafe, selling marvellous cakes, which is the perfect place to have a little read while eating (This is also where the cookery books are kept), and we try to stock something of EVERY genre. A local landmark, a recent crowdfunding campaign to support the structure of the building reached its target within 24 hours of the campaign being launched, showing how dearly this shop is held in people’s hearts. 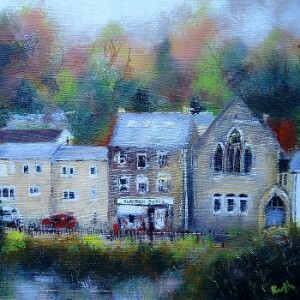 Full disclosure – I have been coming here all of my life, and have recently started to work here at weekends. It is a wonderful place to work and to be, and the view over the millpond is charming, with the swans (almost) part of the bookshop family.